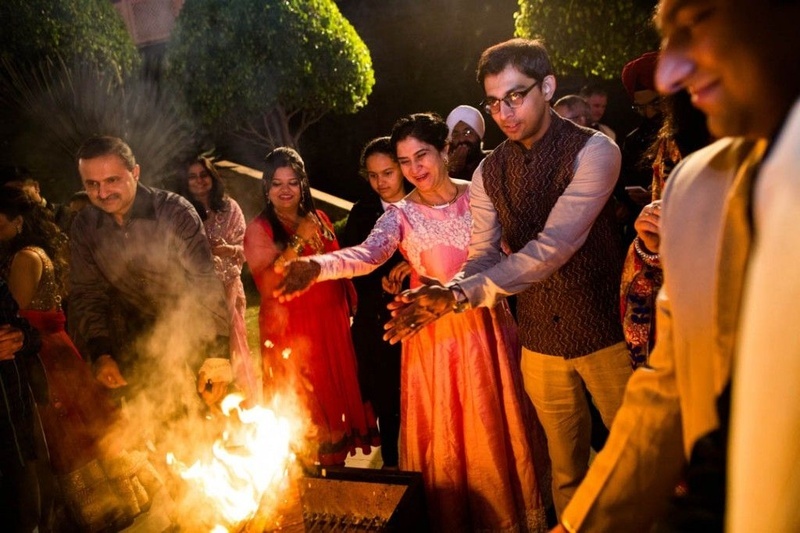 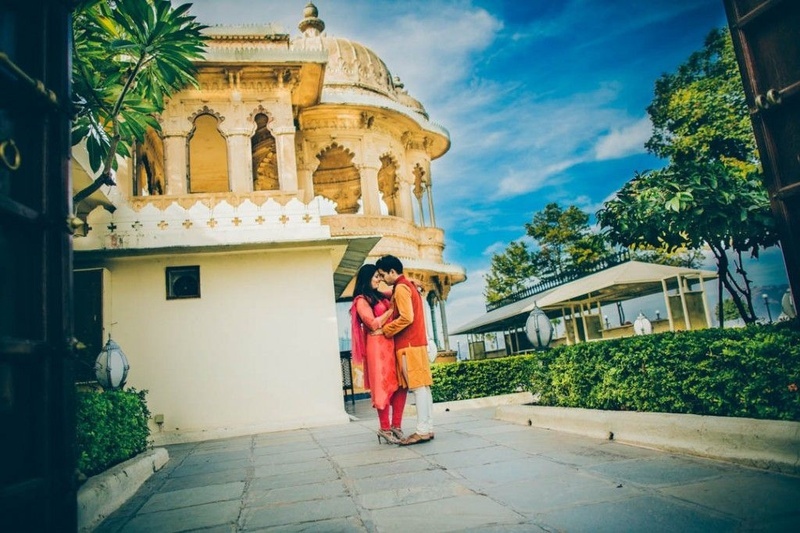 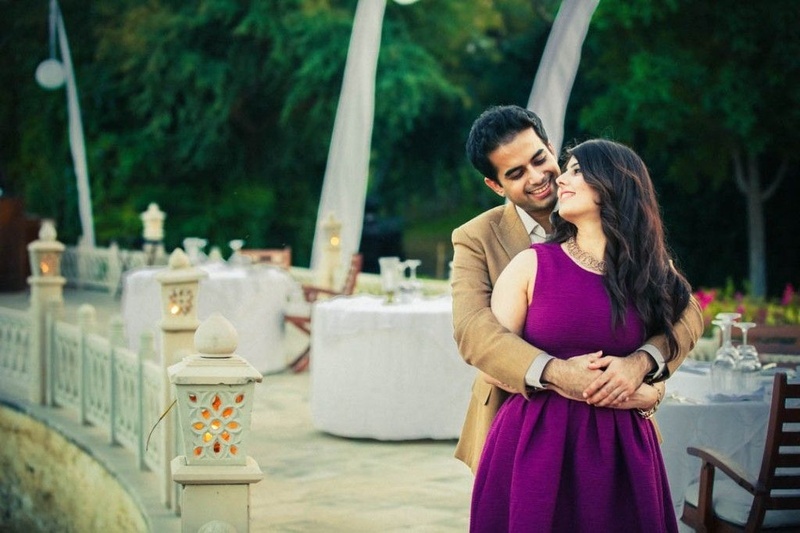 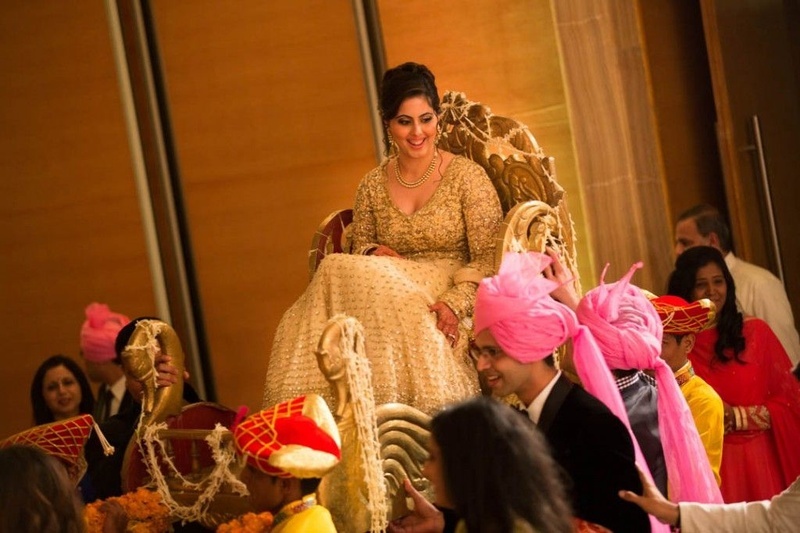 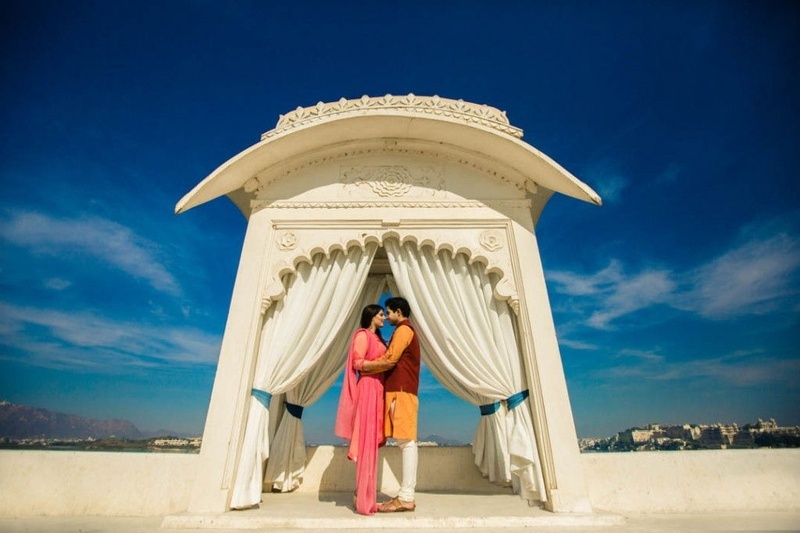 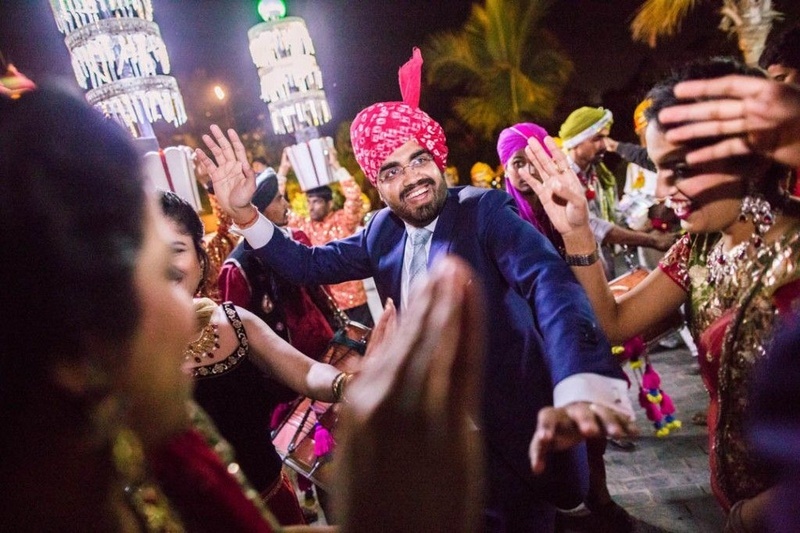 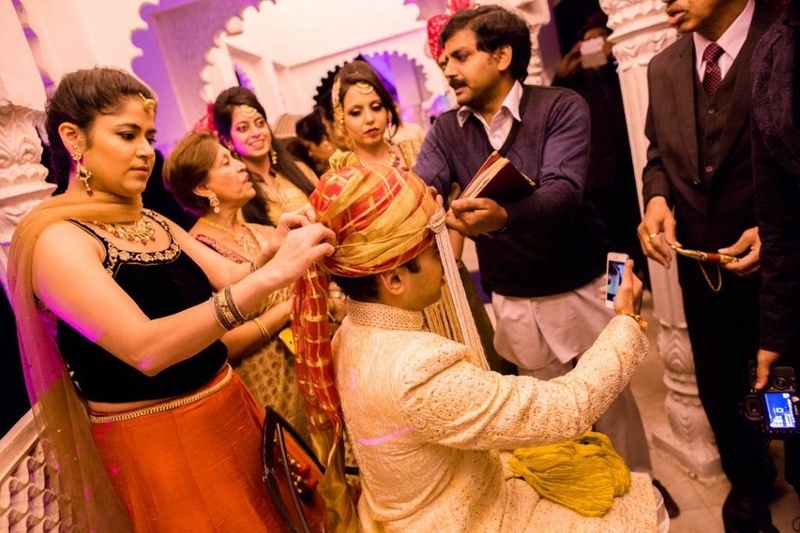 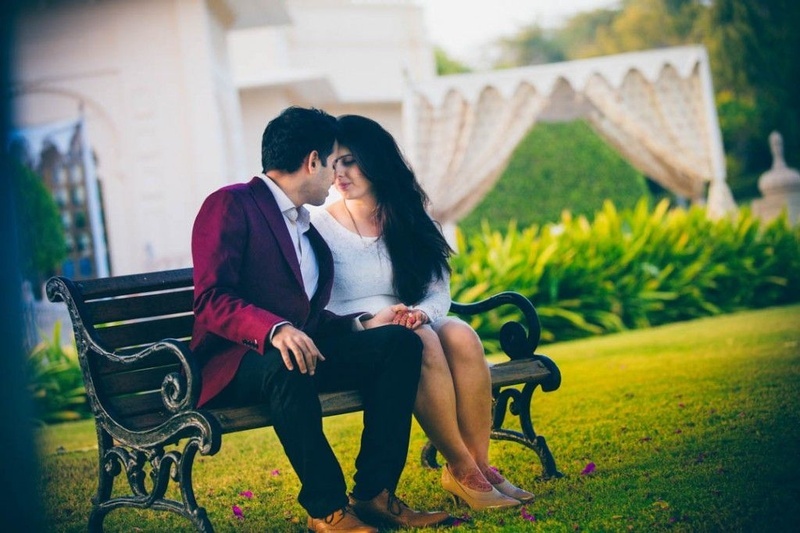 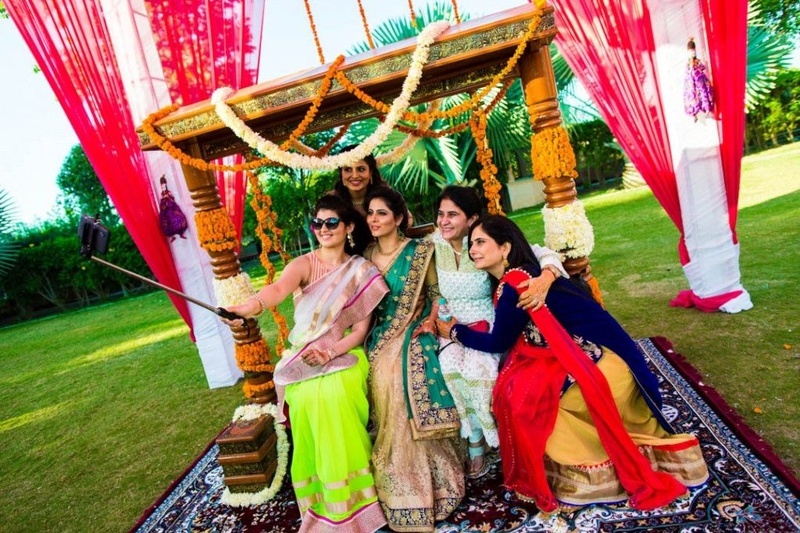 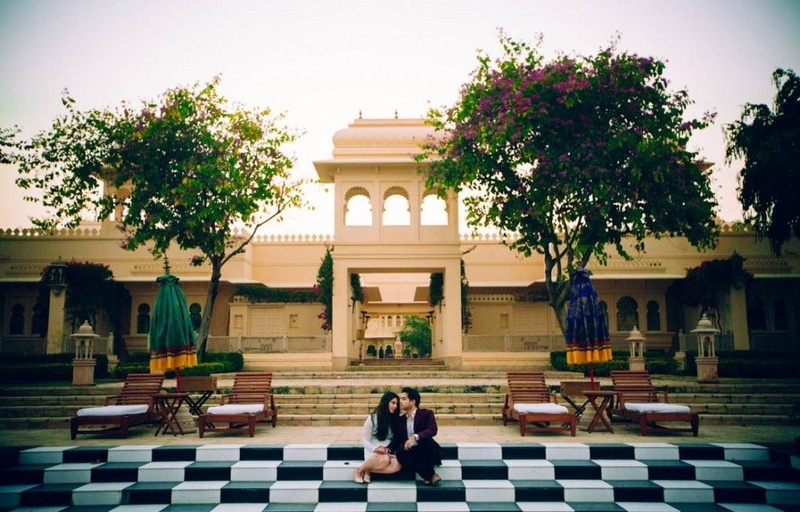 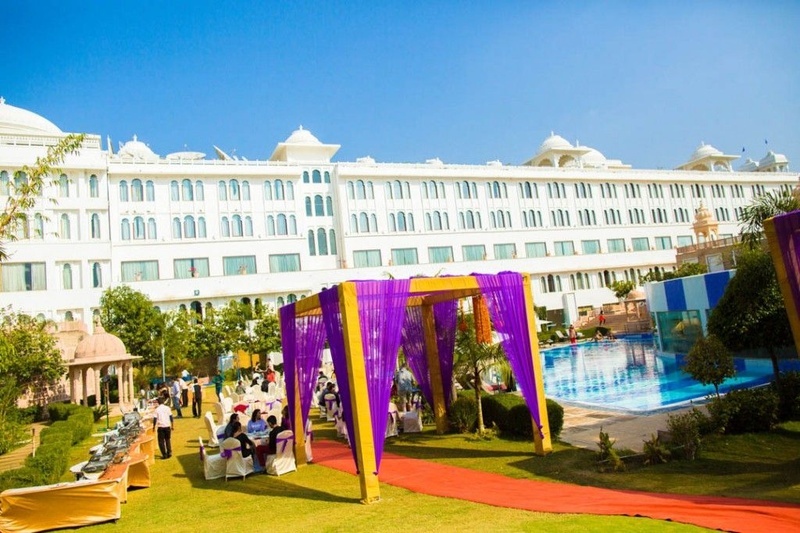 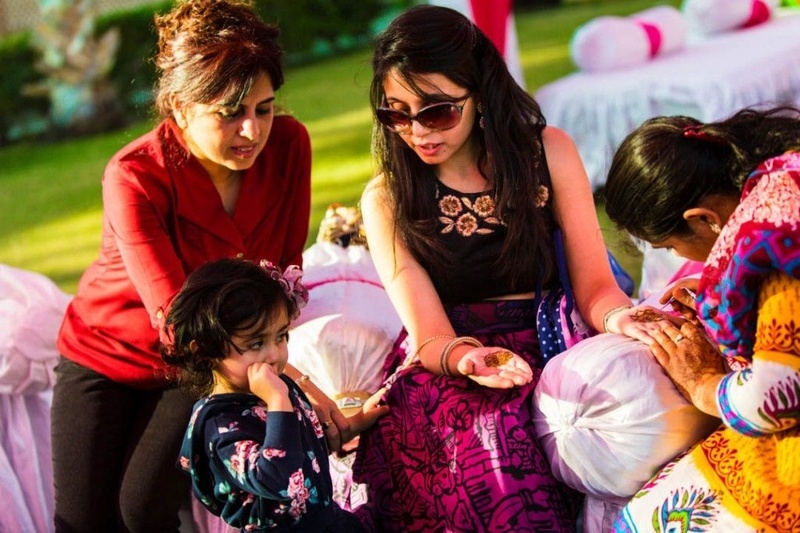 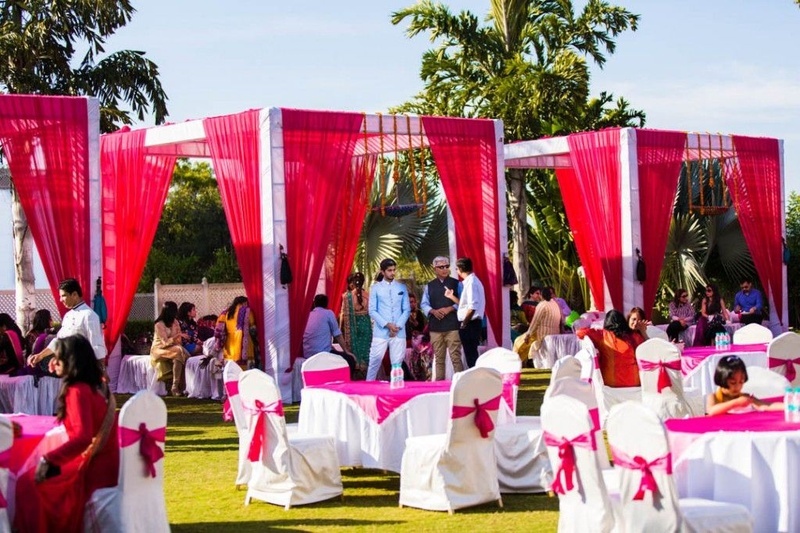 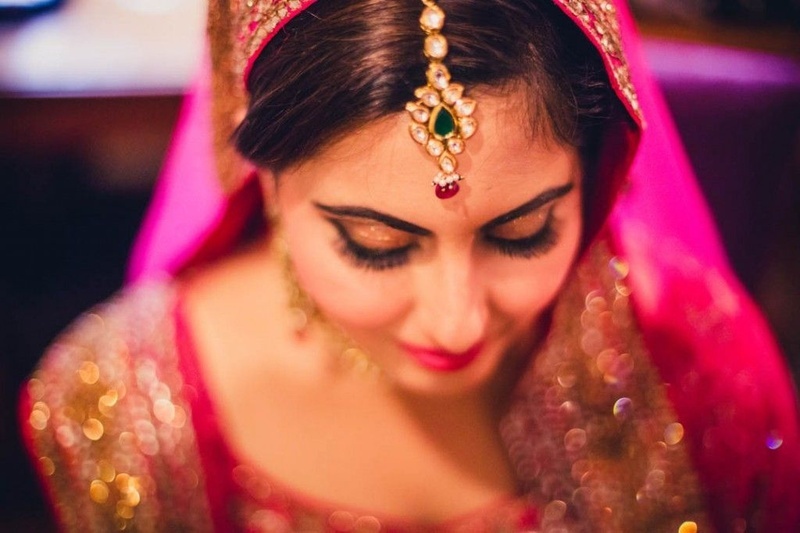 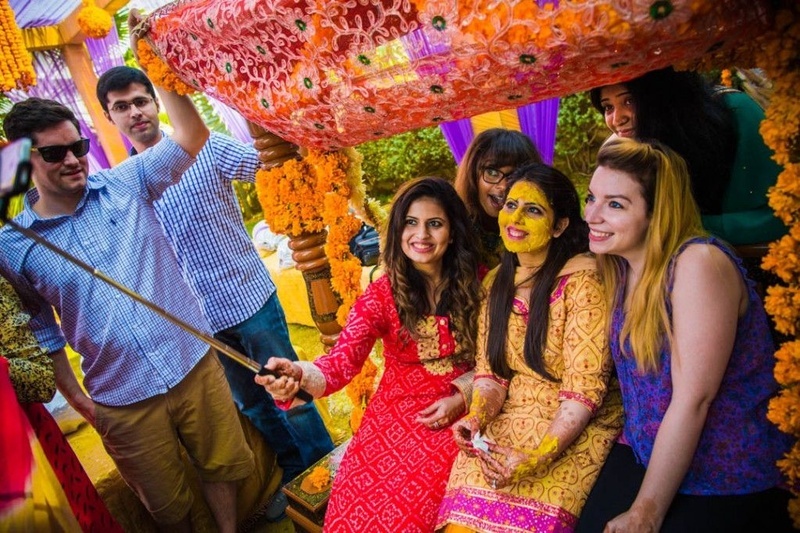 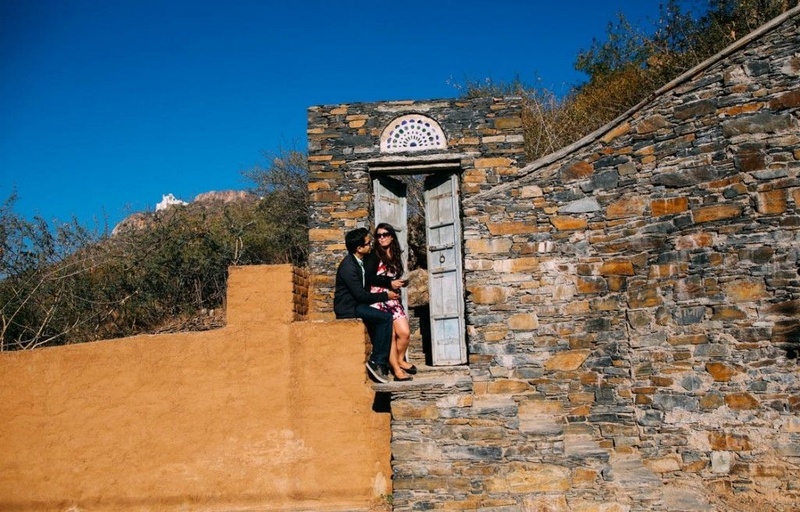 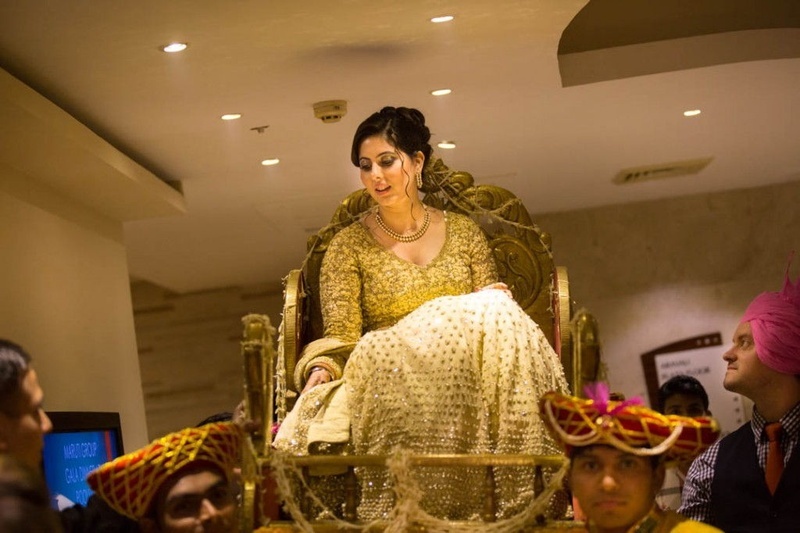 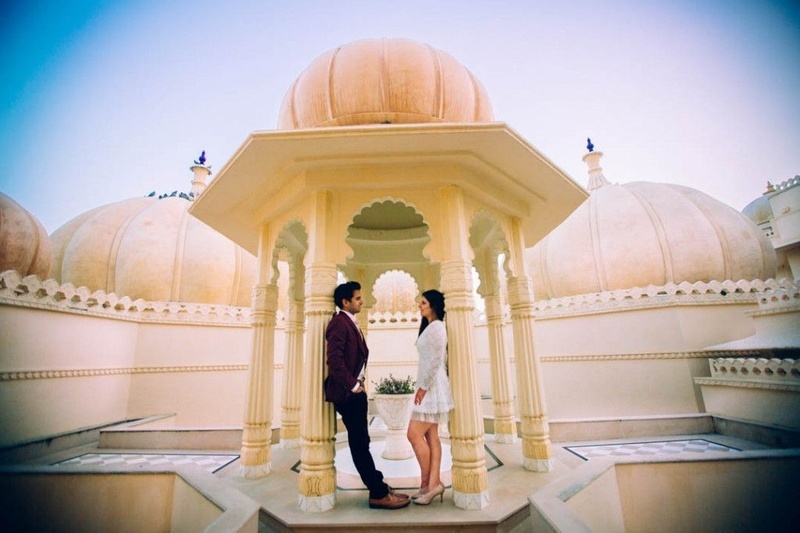 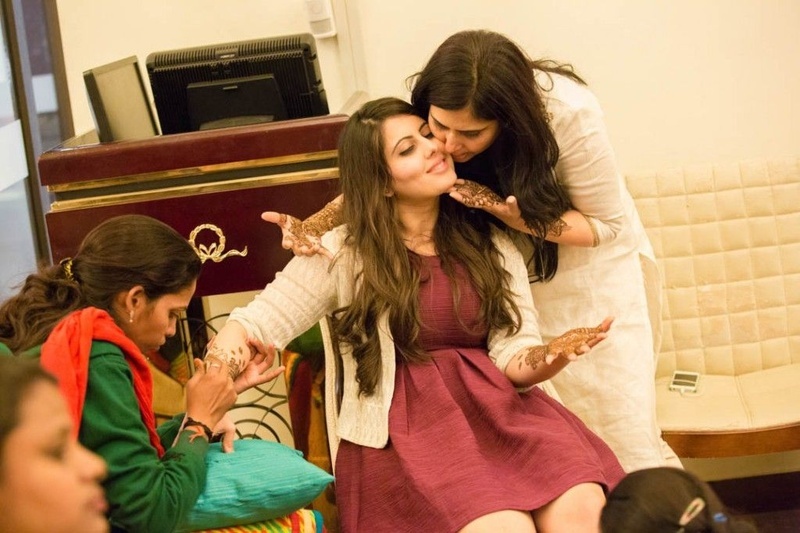 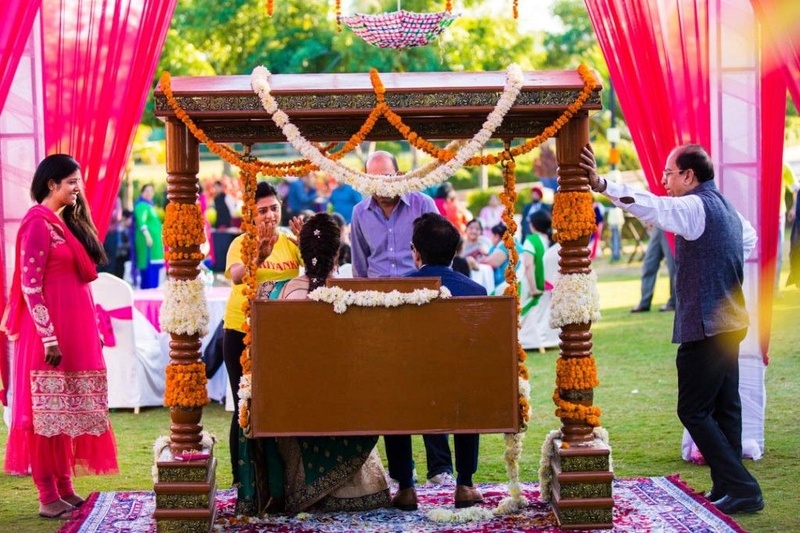 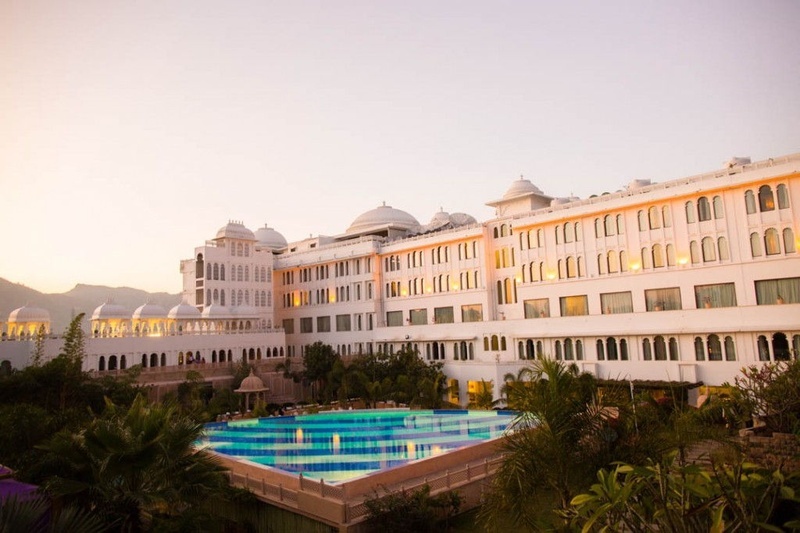 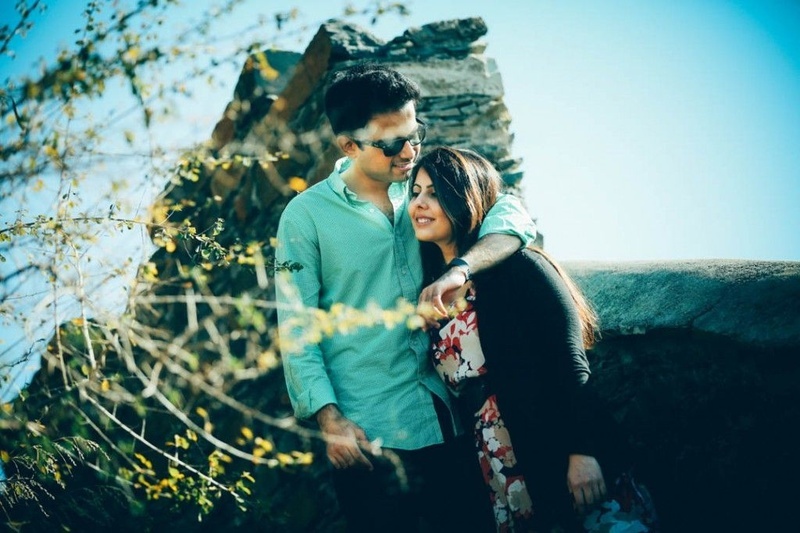 This destination wedding with stunning décor, inspirational outfits and fun-filled ceremonies will make you wish you were a part of Priyanka and Saurabhs union! 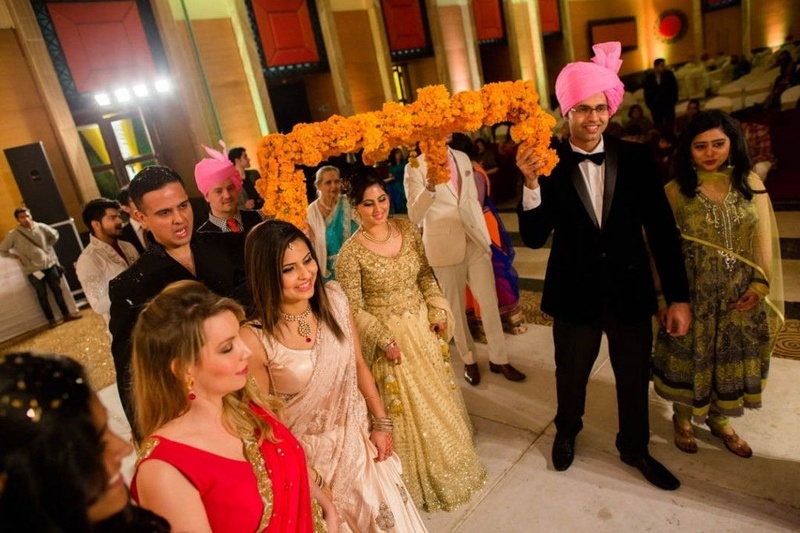 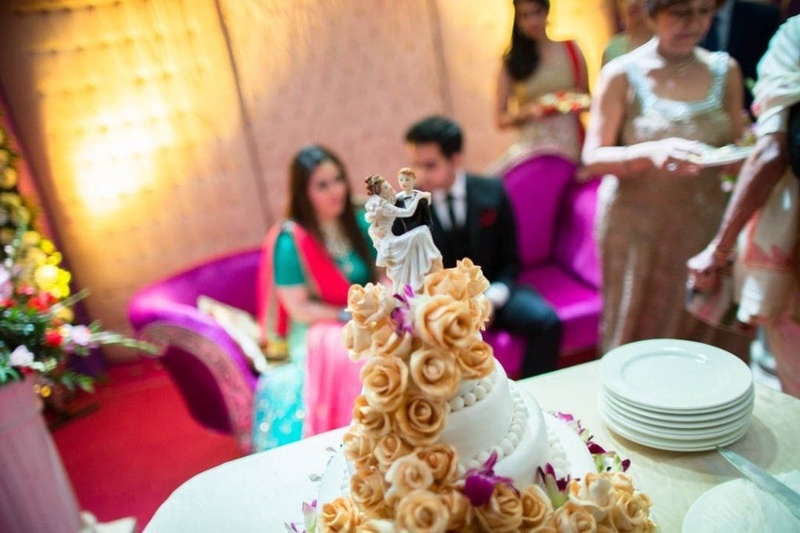 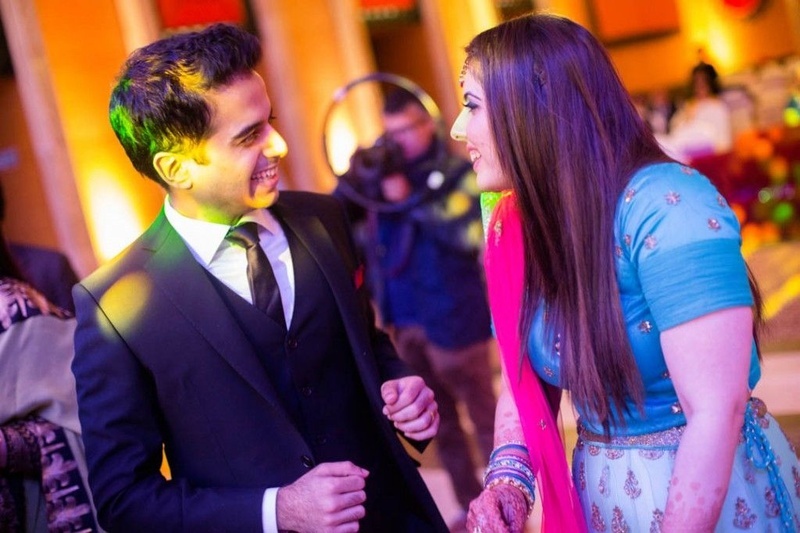 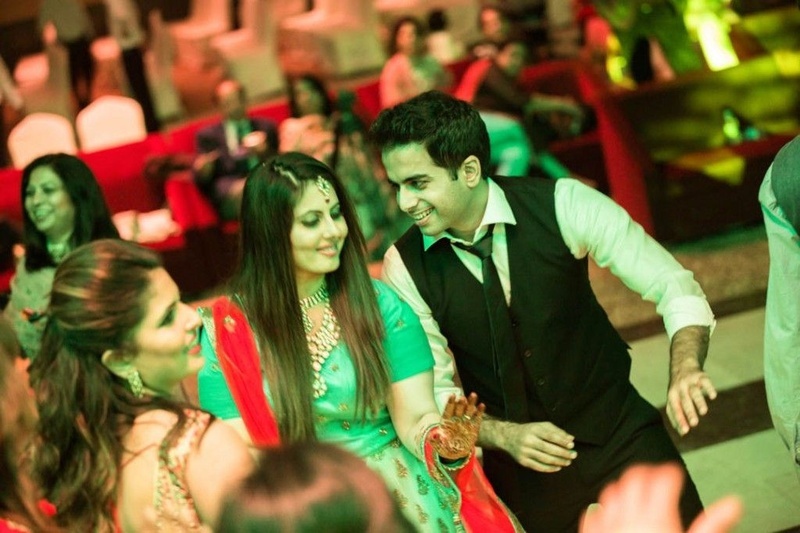 Celebrations kick-started with the engagement ceremony held inside a brightly lit indoor space. 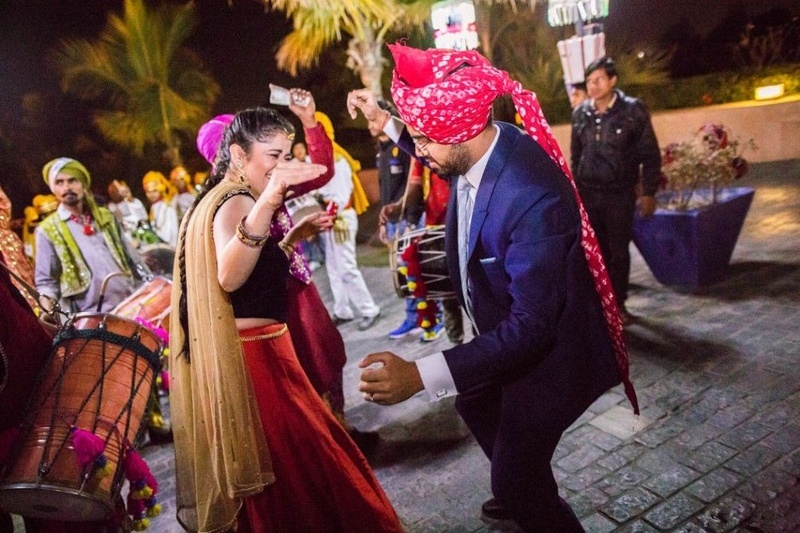 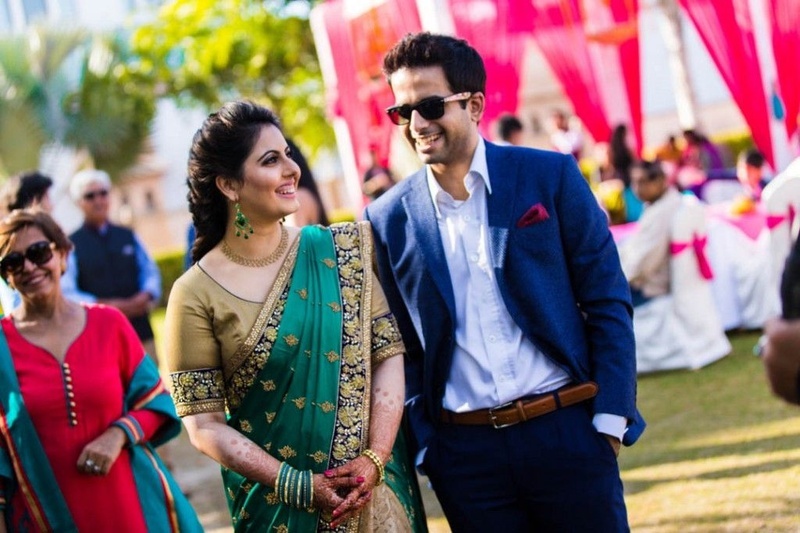 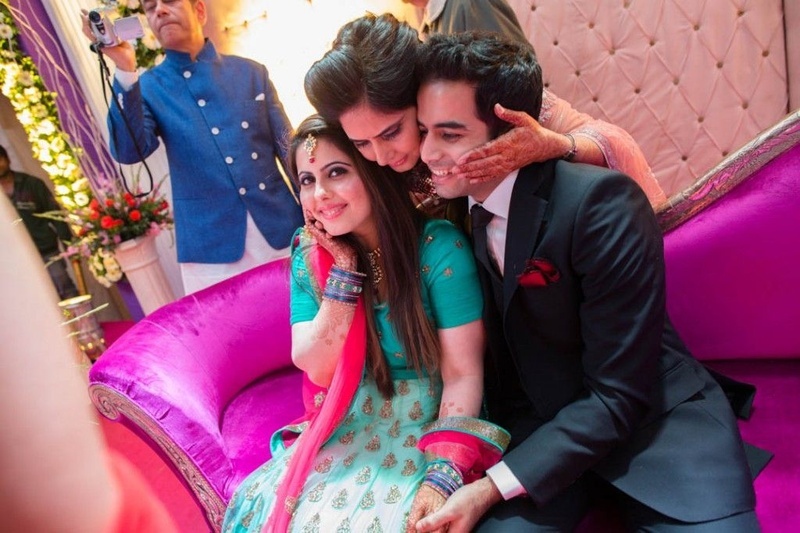 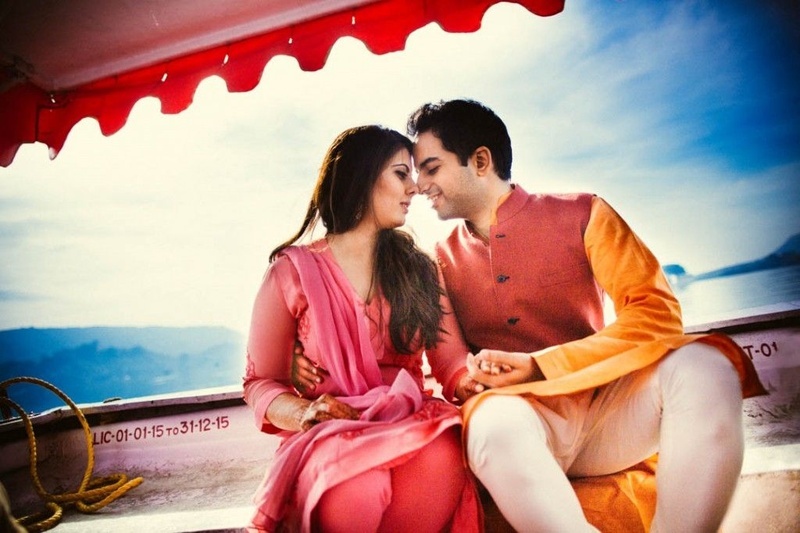 The soon-to-be bride donned a pink and blue lehenga choli with bold polki jewellery that balanced the subtle colors of her lehenga perfectly while Saurabh looked dapper in his carbon black three-piece suit with a crisp white shirt and red pocket square. 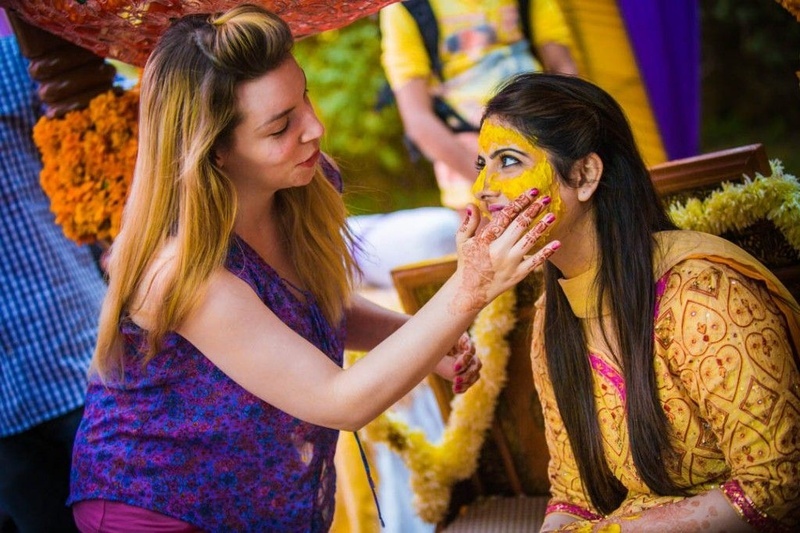 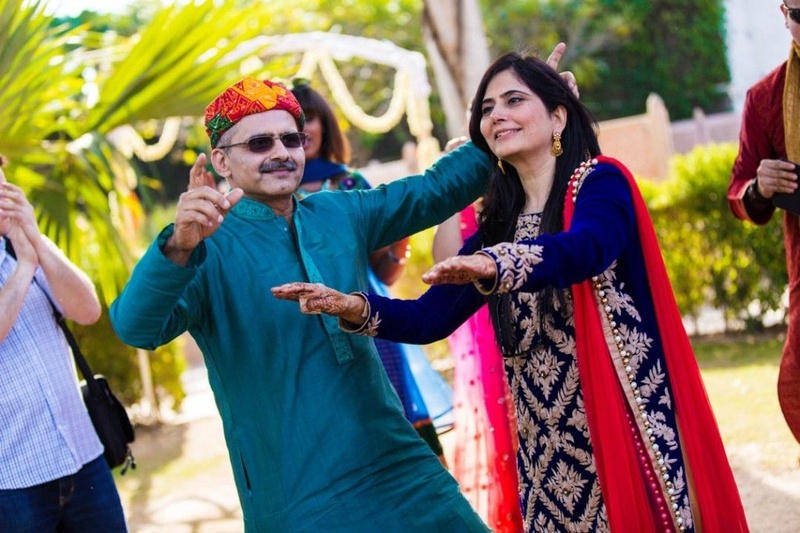 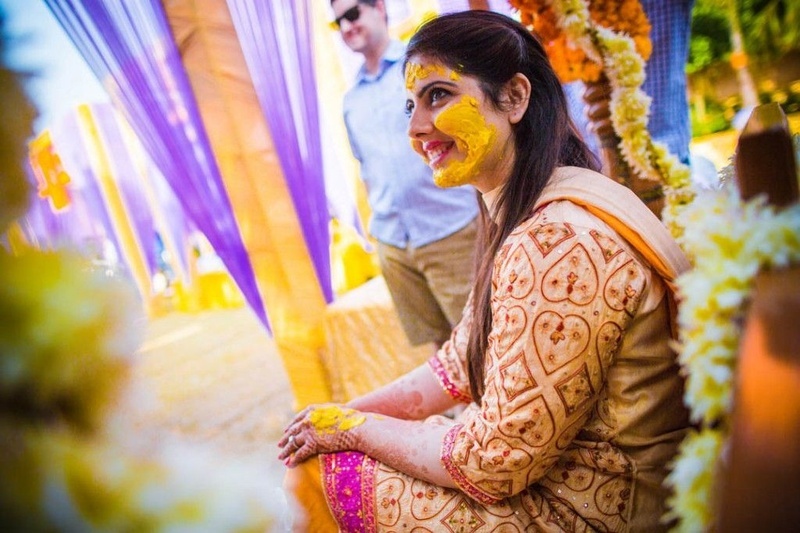 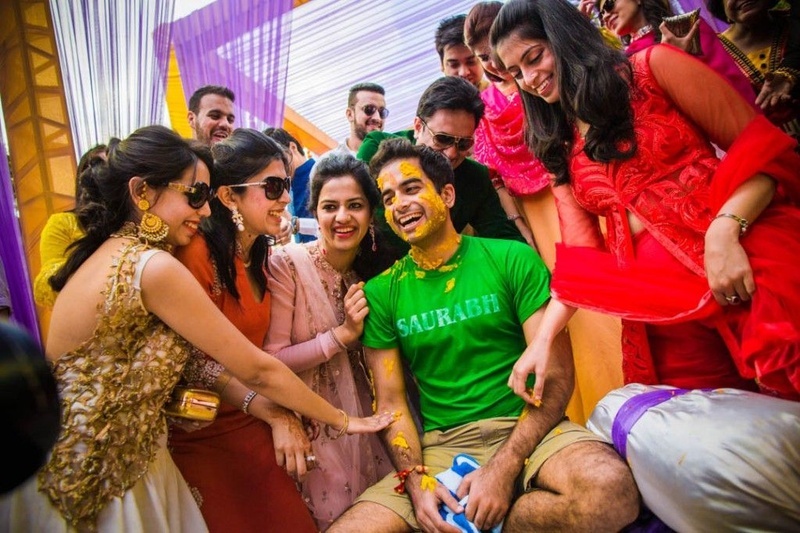 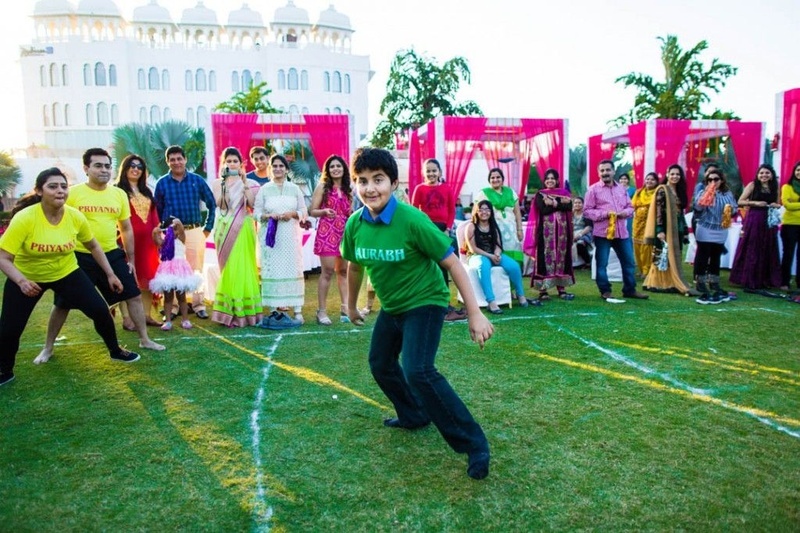 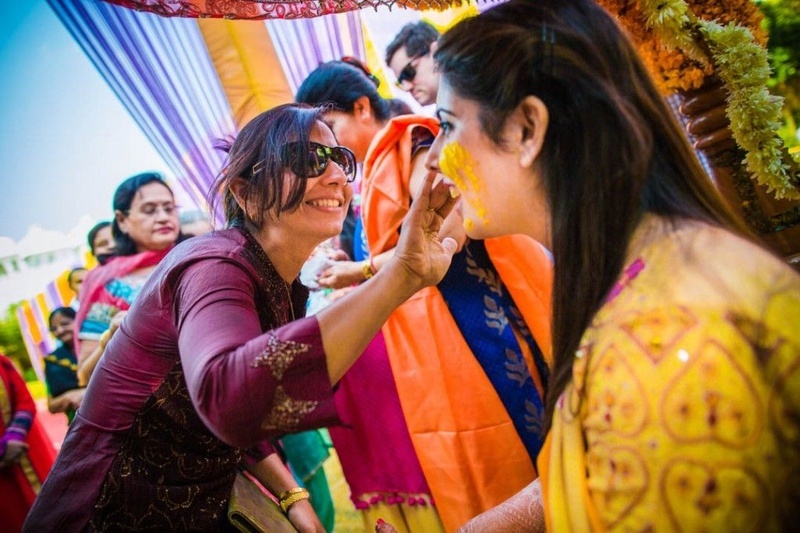 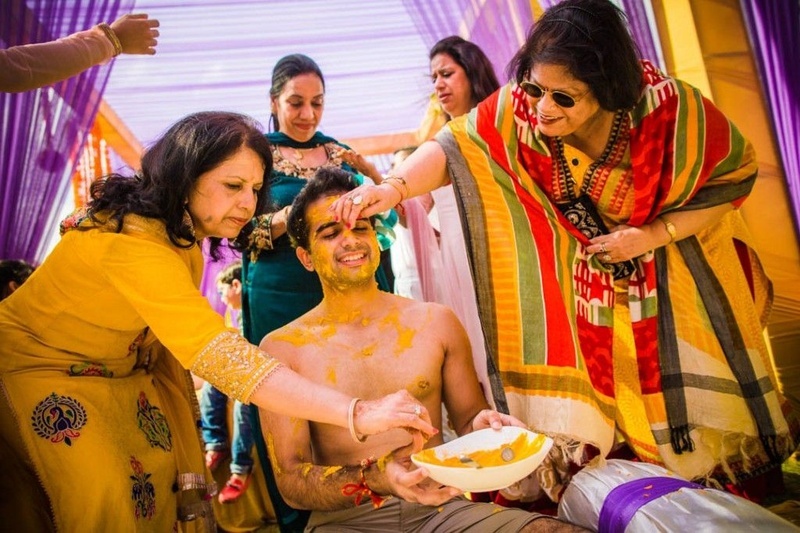 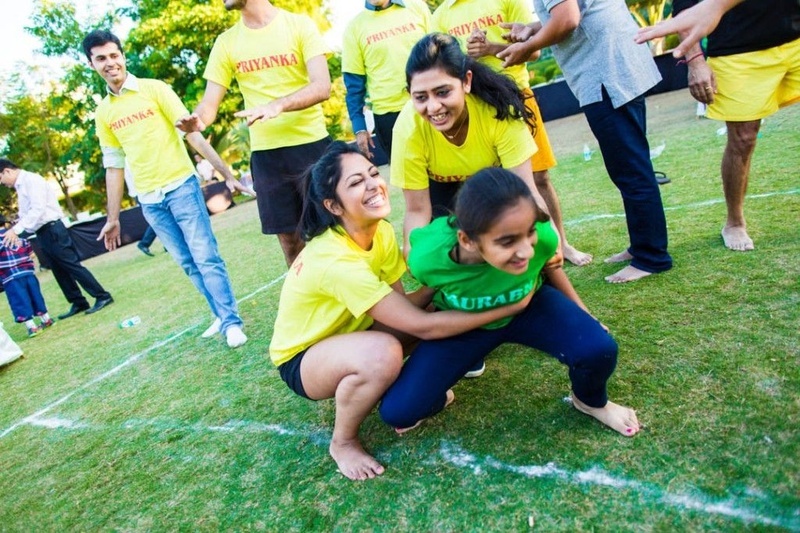 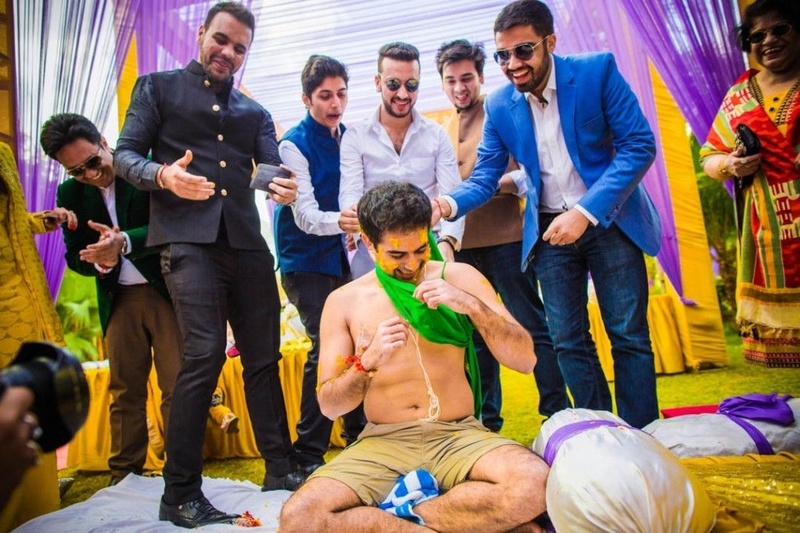 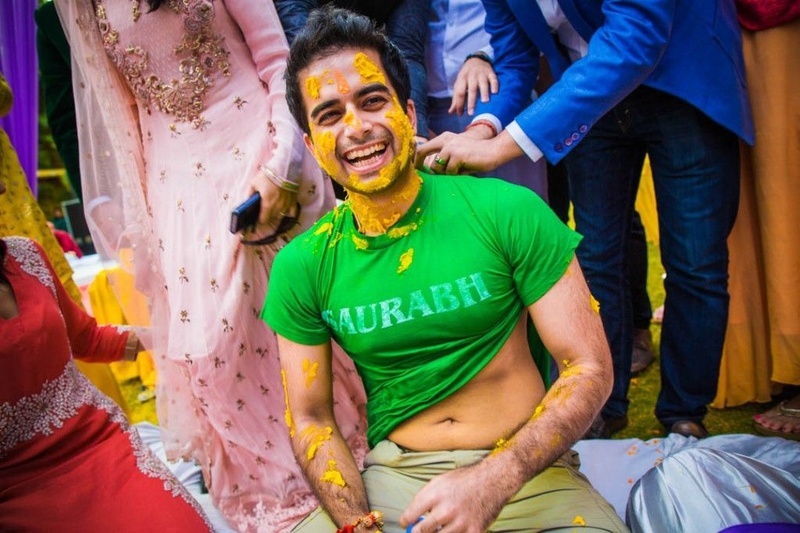 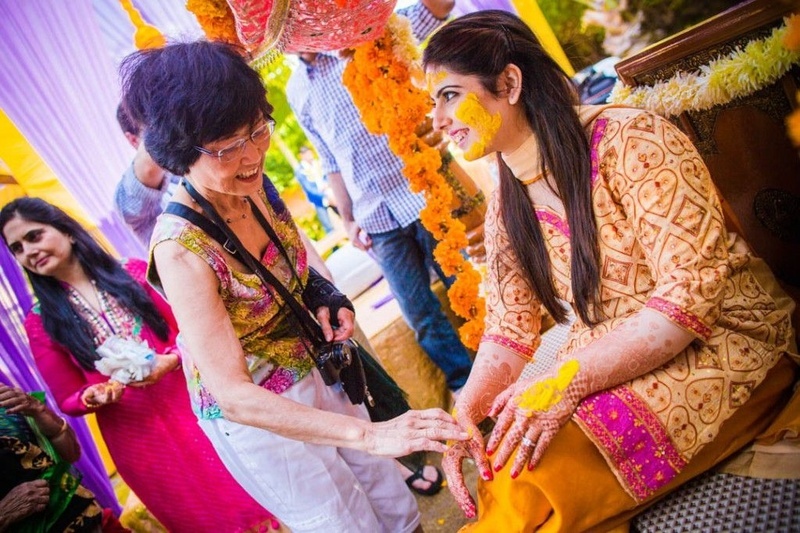 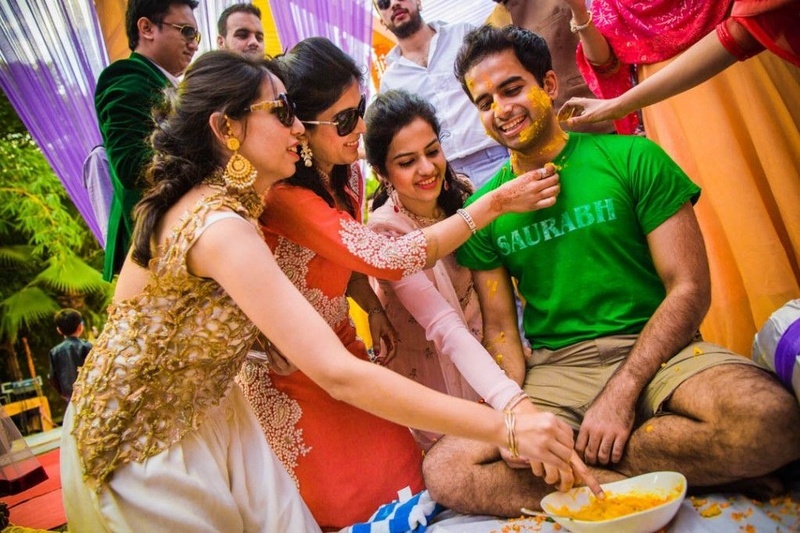 What we especially loved about their Haldi ceremony was the never-seen-before Kabaddi match between Team Priyanka and Team Saurabh – what a fun edge to bring to a traditional haldi ceremony! 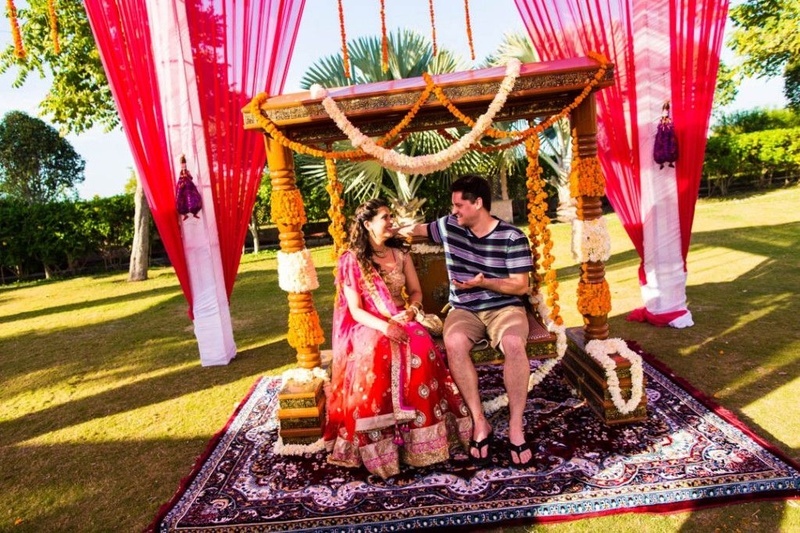 The lush green outdoor space with bright hued drapes and the abundance of flowers strung across made this set up look like something straight out of a Bollywood movie! 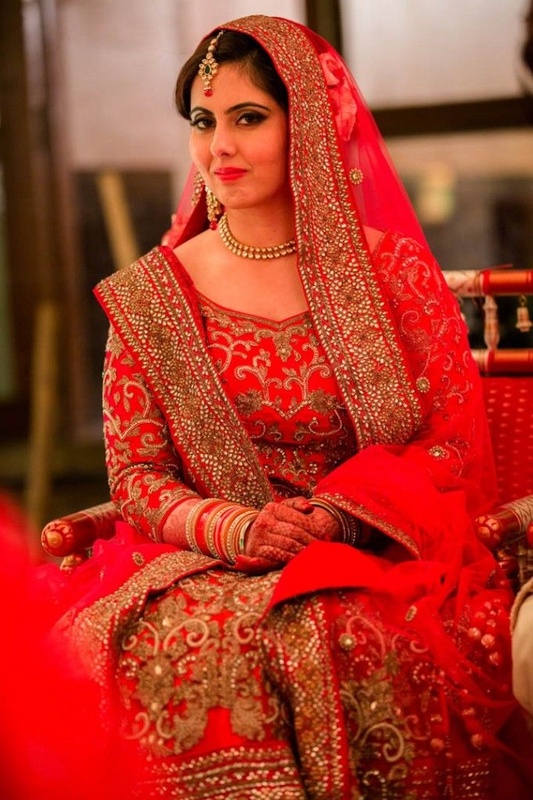 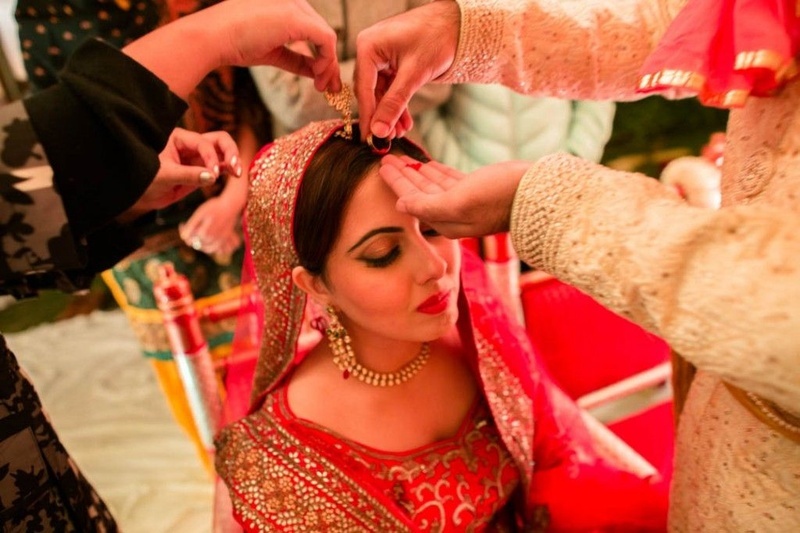 Their Saat Pheras were held inside a beautifully decorated ballroom space. 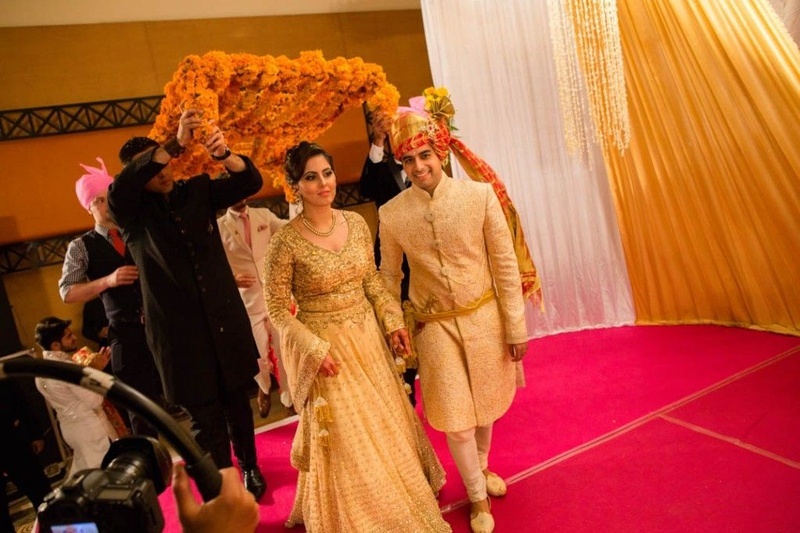 Priyanka made a beautiful bride in her traditional red lehenga that was intricately embellished with gold sequins and stones. 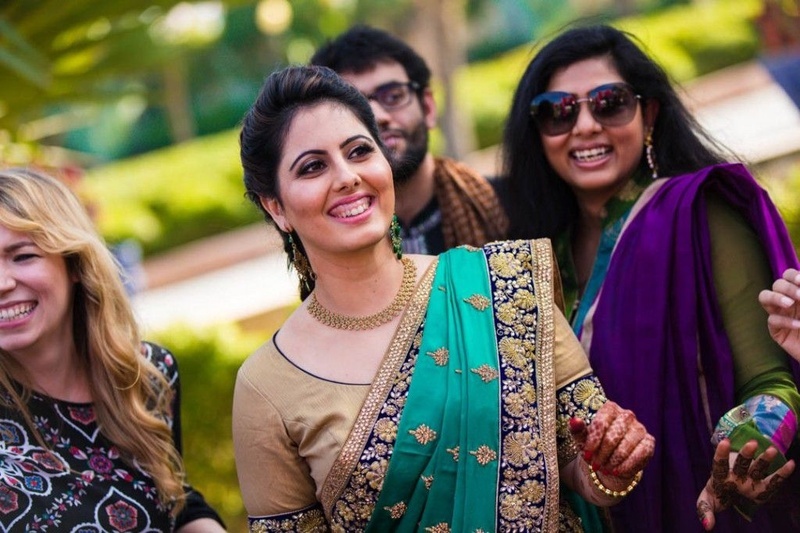 She opted to wear minimal jewellery with just a polki necklace, matching maangtikka and necklace. 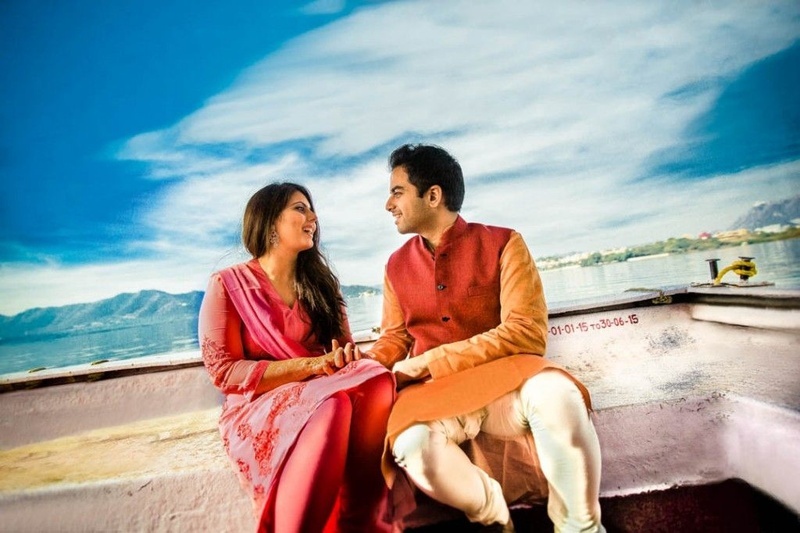 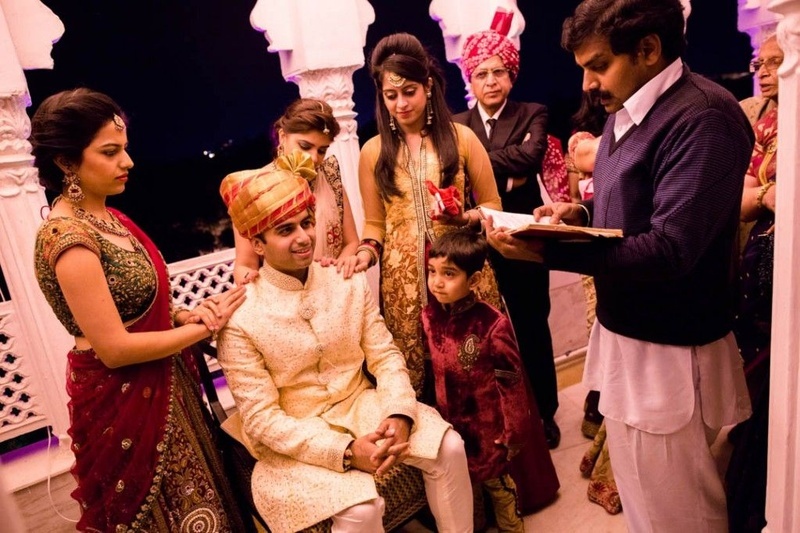 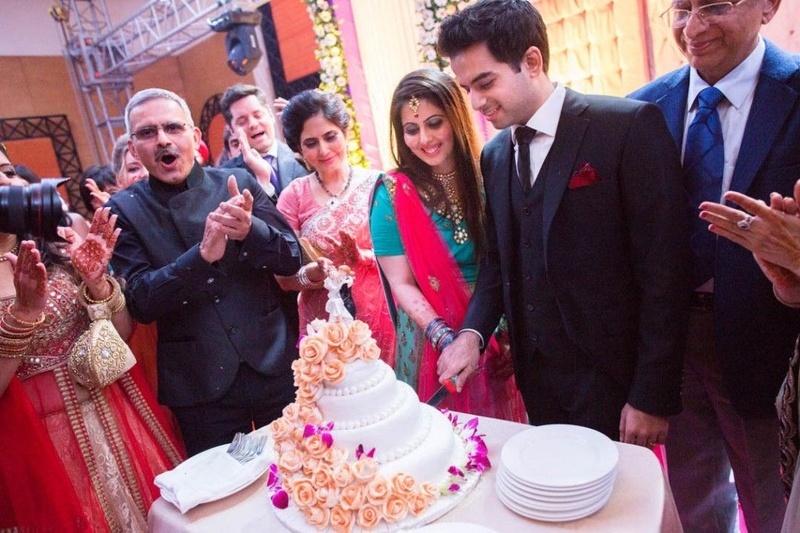 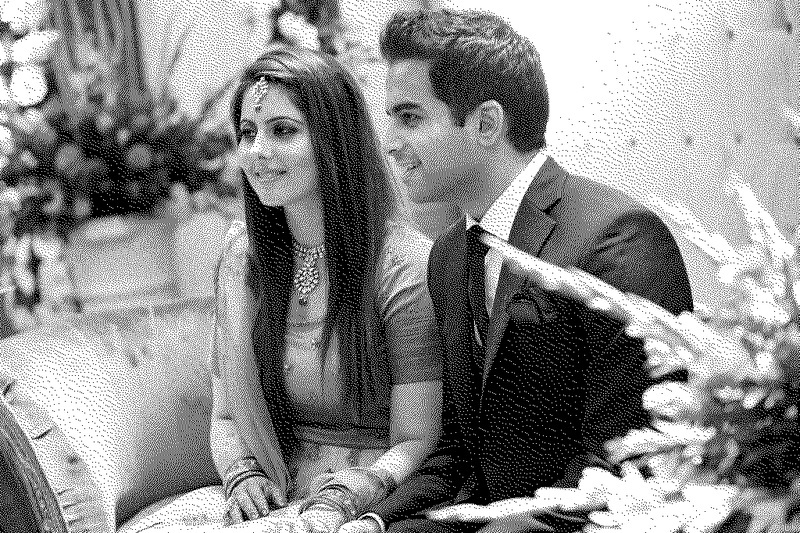 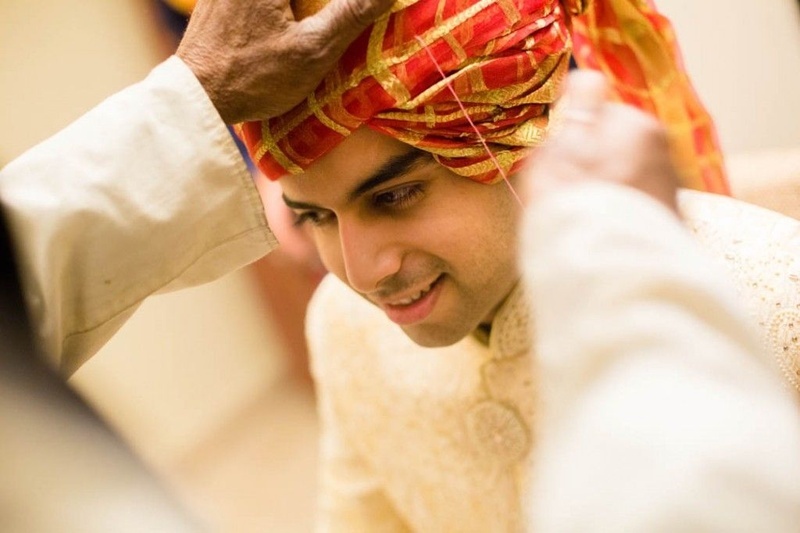 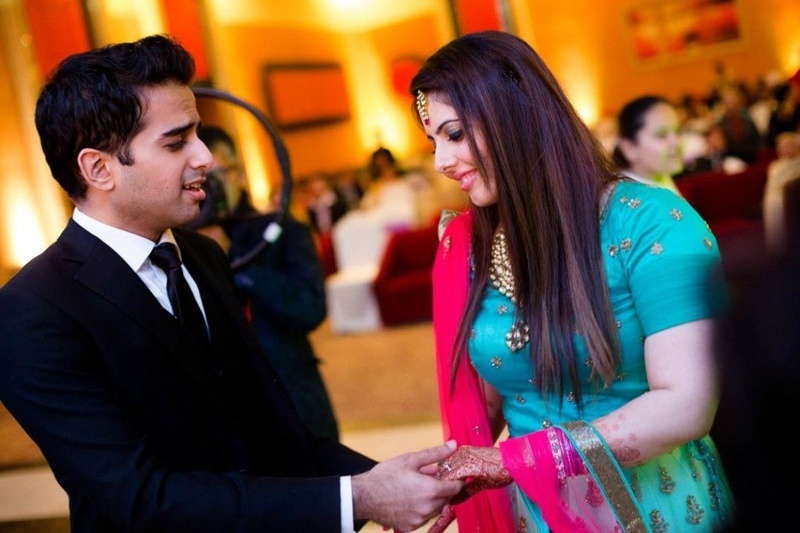 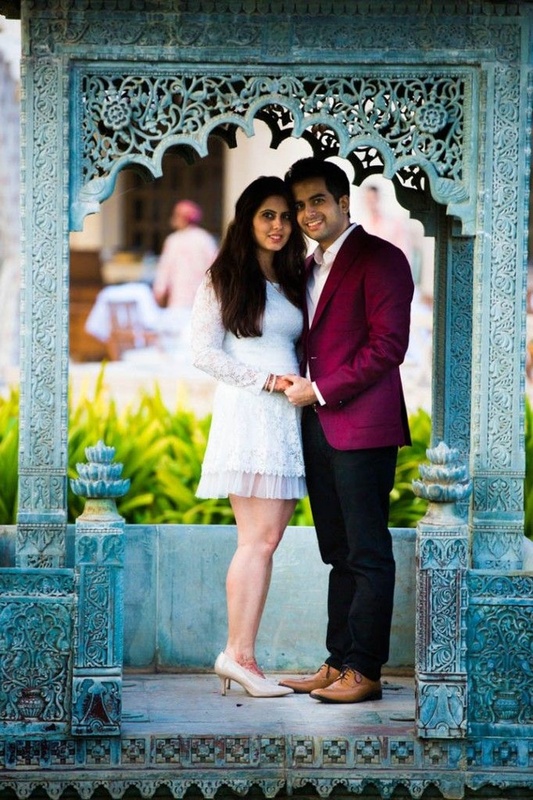 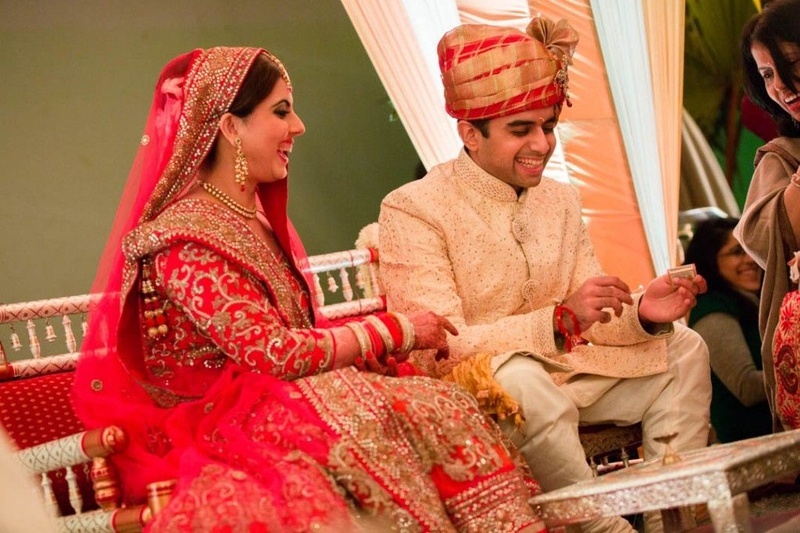 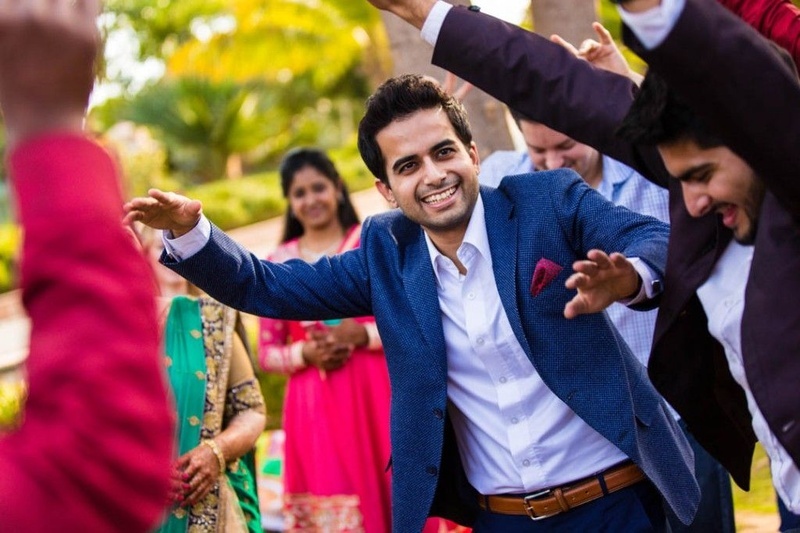 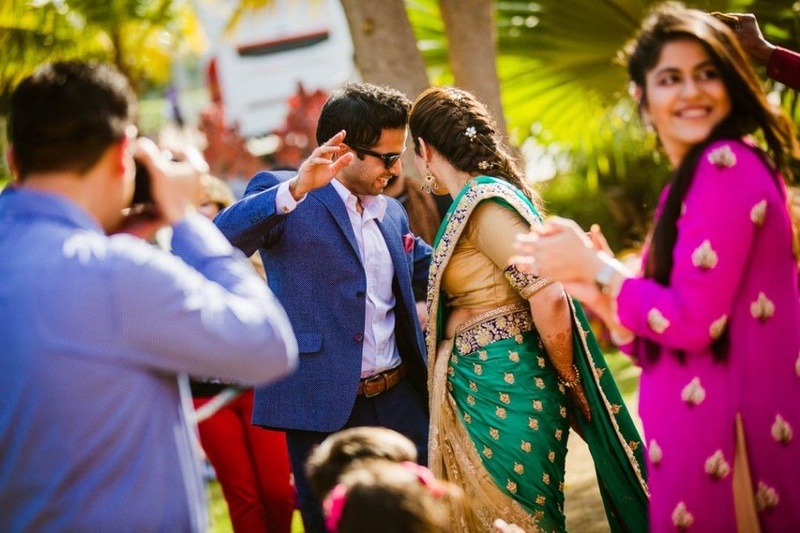 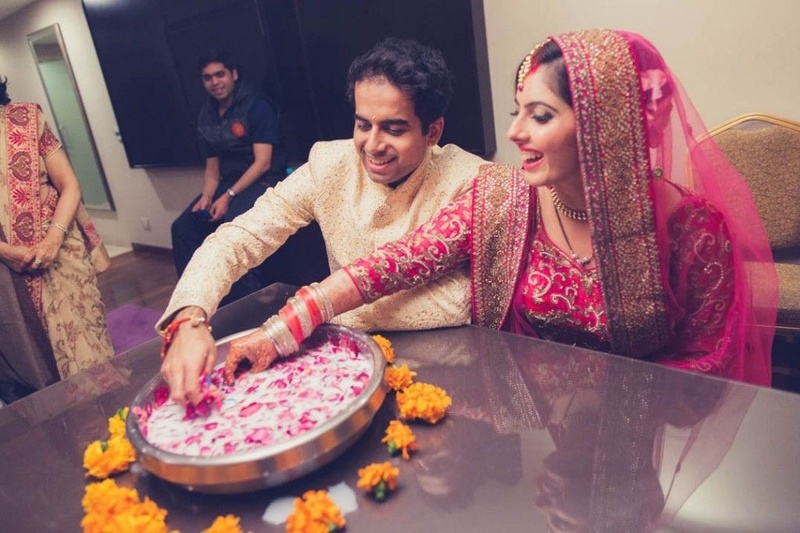 Saurabh kept it classic in his off-white sherwani, that was heavily textured with paisley patterns. 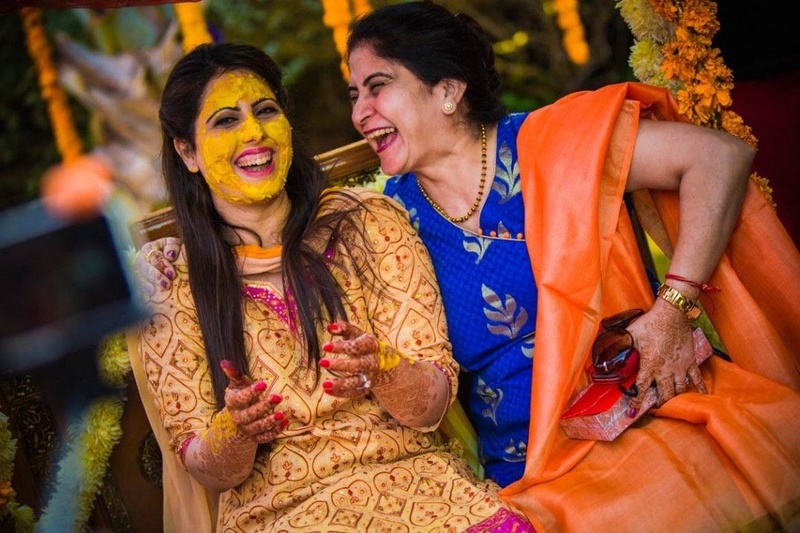 The talented team at Candid Shutters did an exceptional job in capturing every moment from Priyanka and Saurabh’s marriage. 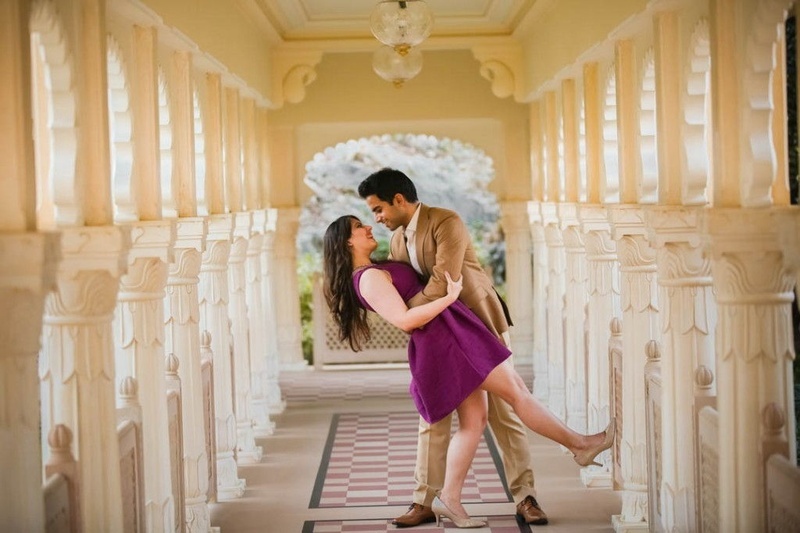 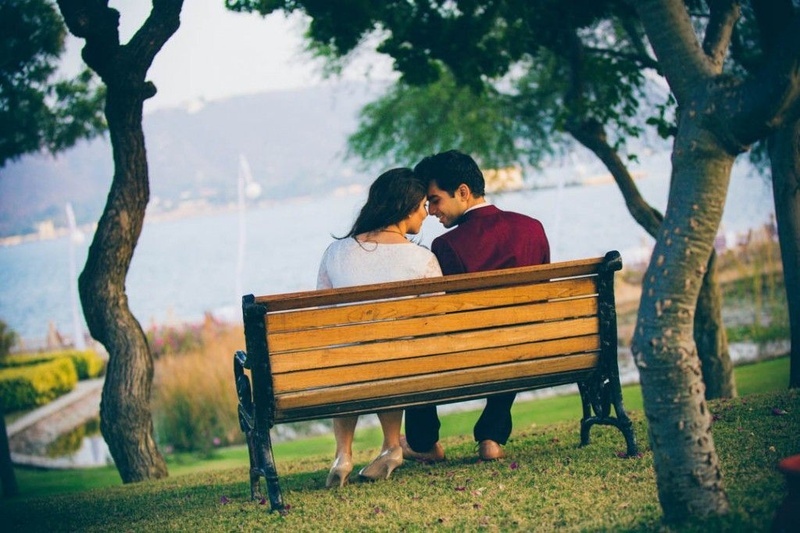 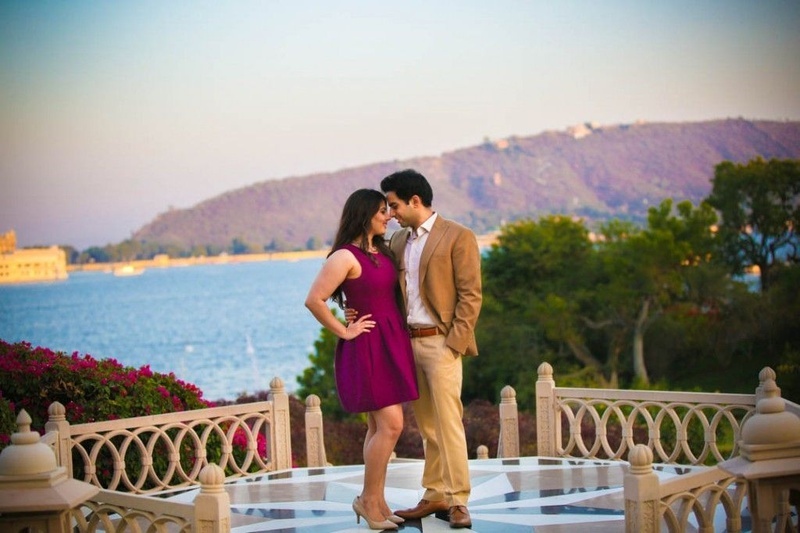 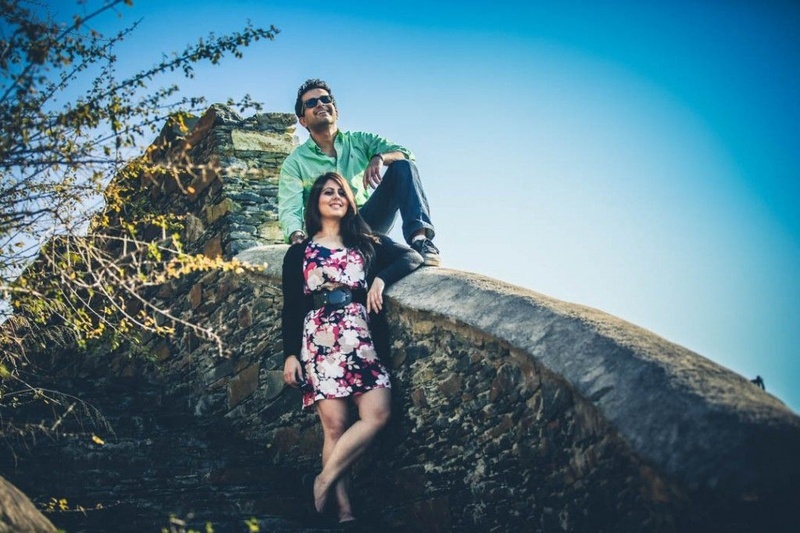 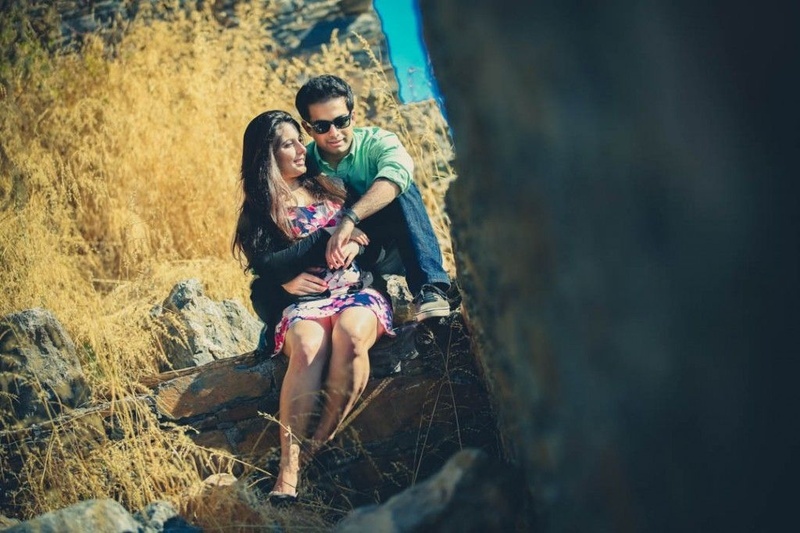 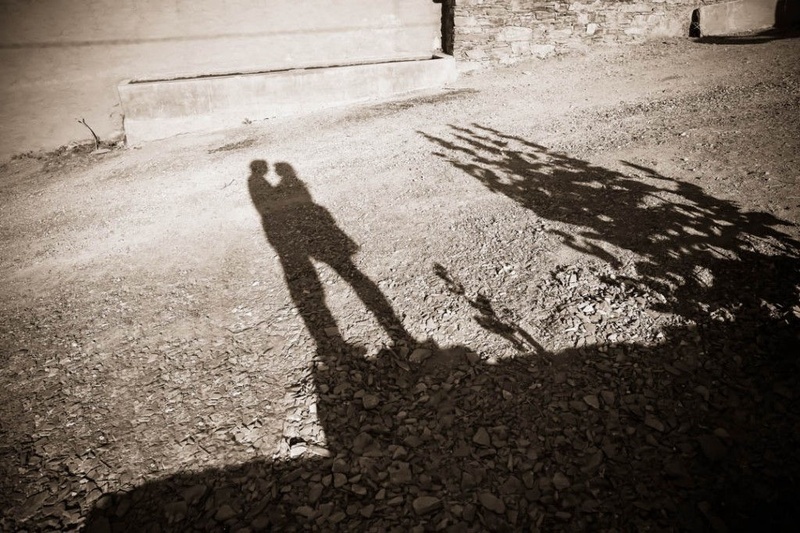 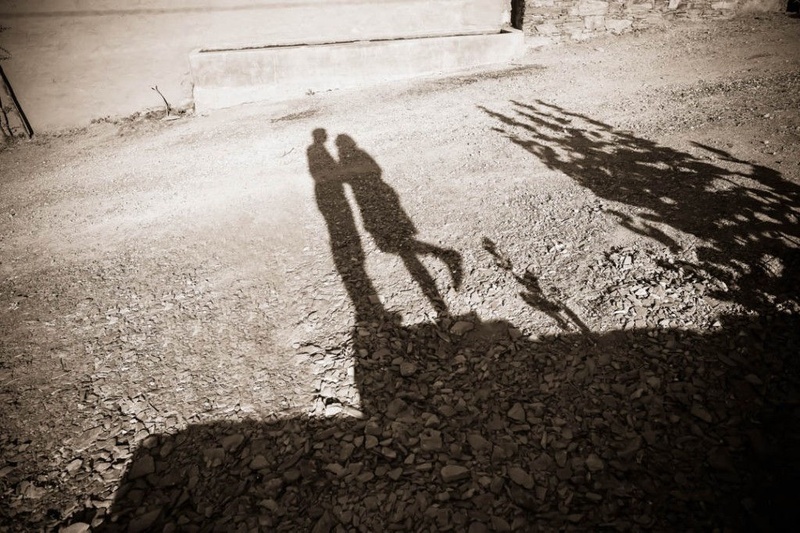 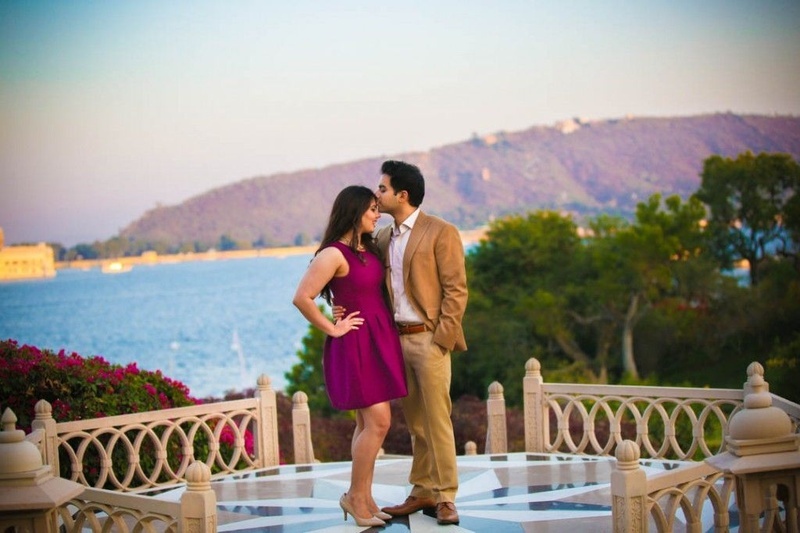 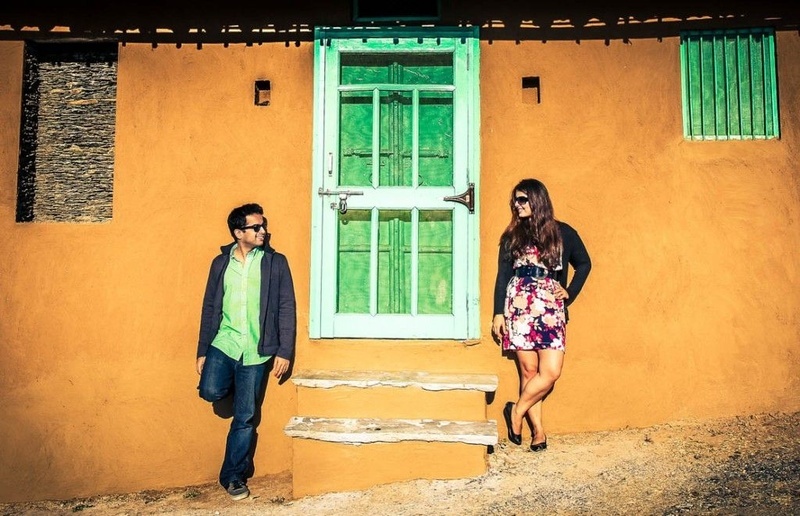 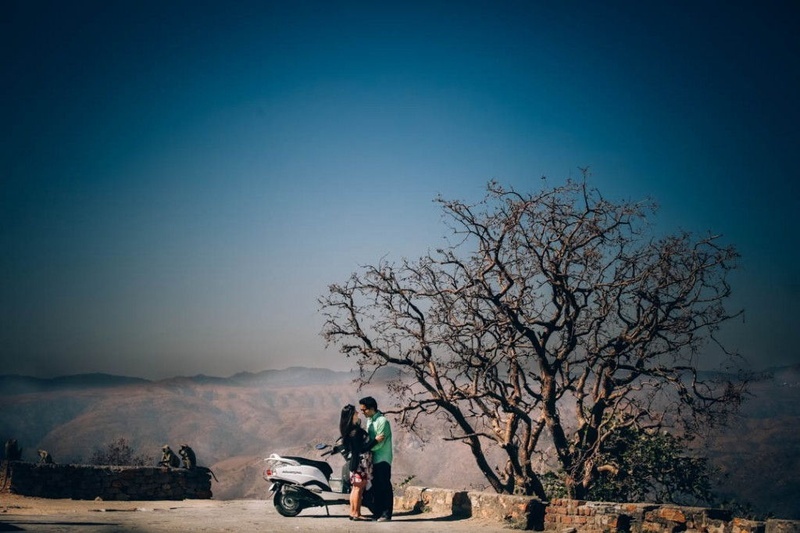 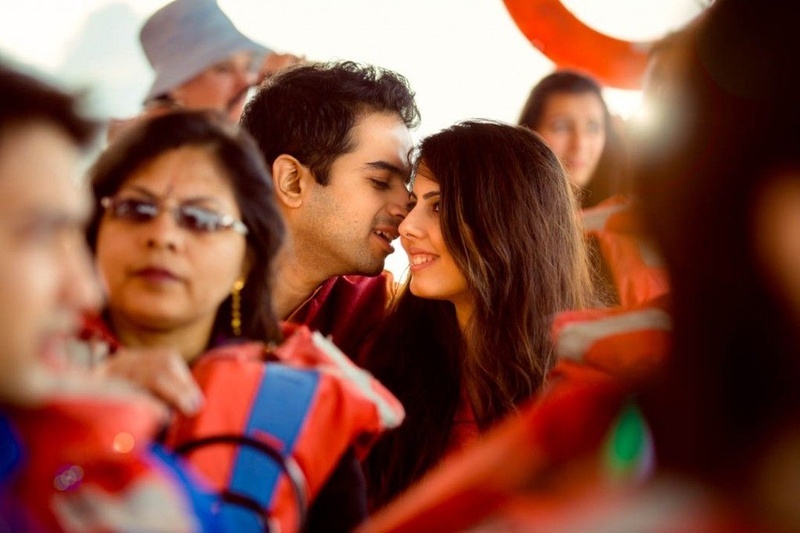 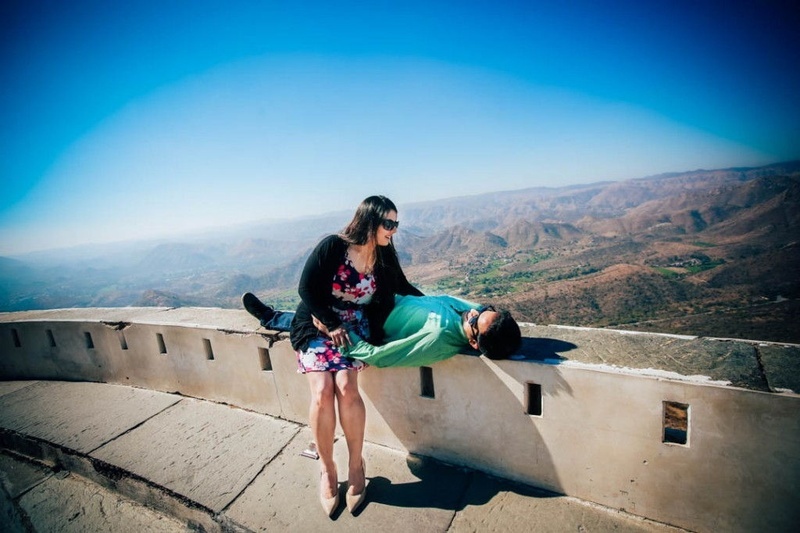 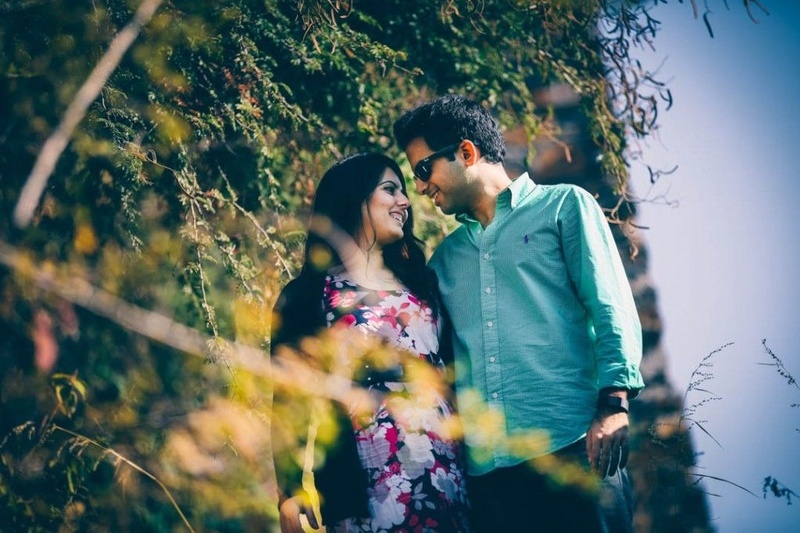 Especially the pre-wedding photoshoot – that was truly our favorite!